Posted on 12/12/2016 by Mickey McCarter	in Live Review and tagged Dragonette, house, new wave, synthpop, Toronto, U Street Music Hall. Martina Sorbara of Dragonette shines literally and figuratively in her disco jacket at U Street Music Hall on Dec. 9, 2016. New wave trio Dragonette kicked off a show at U Street Music Hall on Friday with some new songs — and they were really rather good tunes as well! 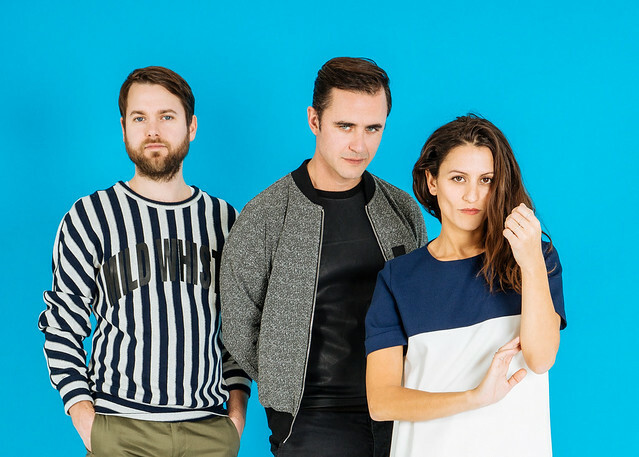 After the release of their fourth studio album Royal Blues in November, Dragonette launched a US tour that brought them to DC. The band started their show with the title track from the new album — a sweetly sad song that has really great synth melodies. Immediately, I’m reminded of the impressive partnership between vocalist Martina Sorbara and her synthesizer player husband Dan Kurtz. They write and perform together in a way that simply flows in a very natural way, and in performance her voice and his synthesizer dovetail in a way that truly augments the other. Posted on 11/09/2016 by Mickey McCarter	in Live Review and tagged Dragonette, Gibbz, house, new wave, Toronto, U Street Music Hall. Synthpoppers Dragonette are about to release their fourth album “Royal Blues” this Friday, Nov. 11, via their own Dragonette Inc. label. And the Toronto trio have launched a tour in support of it. 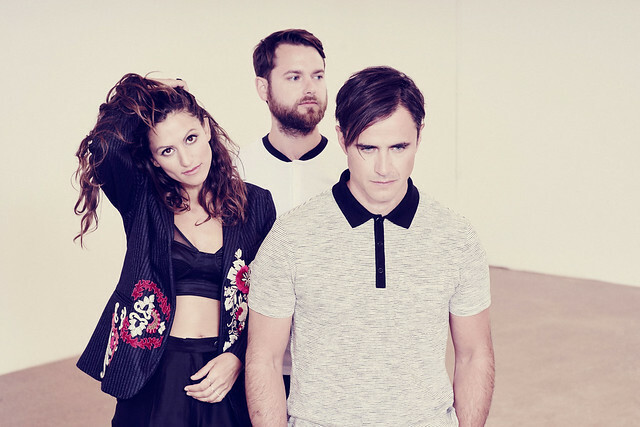 Dragonette are no strangers to DC, where they have performed frequently since the release of their 2007 debut album, Galore. They visited U Street Music Hall in November of last year, and they are set to return there on this tour with a show on Friday, Dec. 9. All the same, vocalist Martina Sorbara, bassist Dan Kurtz, and drummer Joel Stouffer always deliver a terrific, high-energy show. Martina’s fantastic voice and frenetic dancing make for a great performance, but Dan’s extraordinary turns on the synthesizer truly take Dragonette to the next level. This is certainly a show worth seeing! Tickets are available online. Posted on 12/01/2015 by Jeremy Bailey	in Live Review and tagged dance, Dragonette, house, new wave, synthpop, Toronto, U Street Music Hall. If your goal was to let loose and enjoy a night on the town before Thanksgiving since you were still in DC anyway, you could have done no better than to start famously at the U Street Music Hall. Martina Sorbara and Dan Kurtz, of Dragonette, were on hand to make you dance, in every way possible. With Dan’s keyboards and Martina’s golden voice, they electrified the crowd with a frenzy of their songs played to match the DJ-inspired venue, as house and club beats. Dragonette hails from Toronto originally, and also includes Joel Stouffer on the drums. Let’s call much of the crowd’s response to their infectious songs, the ‘super dance’, bouncing up and down in unison. The crowd grew to a respectable size (almost full), given that you might expect many potential revelers to be out of town for the holiday. 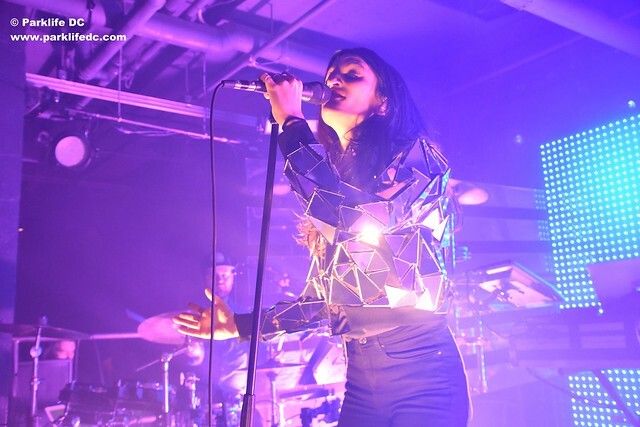 Posted on 11/27/2015 by Mickey McCarter	in Live Review and tagged Canada, Dragonette, electropop, soul, U Street Music Hall, worldbeat, Young Empires. Vocalist Matthew Vlahovich has some charisma to spare, and he was ready to share it as he danced to his own music at U Street Music Hall on Wednesday, Nov. 25. Matthew and his band Young Empires performed as openers for Canadian trio Dragonette, providing a smooth, soulful counterpoint to the sparkling house compositions of their countrymen. Technically a trio themselves, Matthew, bassist Jacob Palahnuk, and drummer Taylor Hill toured as a quintet with the support of a touring guitarist and keyboardist. 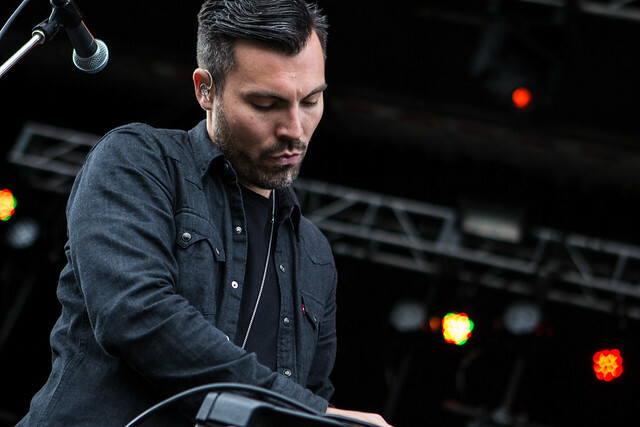 The total group produced waves of deep sound that benefited the numbers on the debut album by Young Empires, The Gates (released in September) — numbers that generally were uplifting electropop punctuated by worldbeat rhythms and carried by Matthew’s pleasing voice. Posted on 11/24/2015 by Mickey McCarter	in Live Review and tagged Dragonette, electropop, U Street Music Hall, worldbeat, Young Empires. 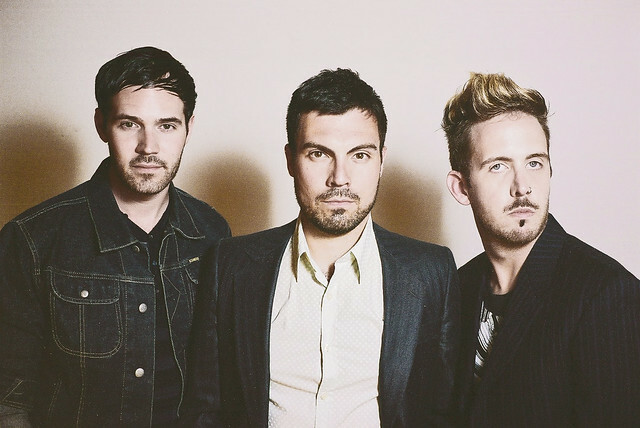 Canadian trio Young Empires have a fondness for soaring world music and themes of redemption and elevation. They are a band in search of better things, and you have an opportunity to join their soulful exploration Wednesday night at U Street Music Hall. Young Empires released their debut album, The Gates, on Sept. 4, and they are touring in support of it as openers for another Canadian trio, Dragonette. On The Gates, Young Empires treat us to “Mercy,” a song calling for forgiveness; “So Cruel,” about the tortures of love; and “The Gates,” about the search for a higher place spiritually. Note the doors open at 6pm for this early show, and so be sure to get there early to allow vocalist and keyboardist Matthew Vlahovich, bassist Jacob Palahnuk, and drummer Taylor Hill elevate your spirit. Posted on 11/20/2015 by Jeremy Bailey	in Live Review and tagged Dragonette, house, Martin Solveig, new wave, synthpop, U Street Music Hall. If you only know the collaborations between Martin Solveig and Dragonette, like “Hello” or “Big In Japan”, you’re in for a treat when Dragonette descends on DC at the U Street Music Hall on Wednesday, November 25th. The night before Thanksgiving, it will be “Easy” to have a good time dancing to this Canadian synthpop band (from Toronto). 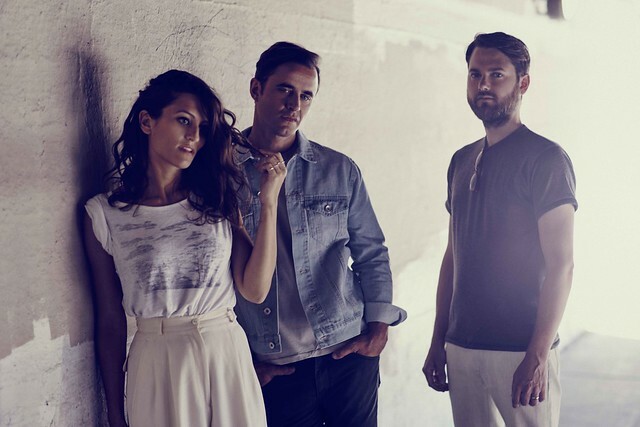 Dragonette is Martina Sorbara (lead singer), Dan Kurtz (bass) and Joel Stouffer (drums). They recently released a video for the new song “Let The Night Fall”, an anthem of almost Katy Perry proportions about having fun and letting loose. I think you should join them at U Street Music Hall. Check out more of Dragonette’s music here.